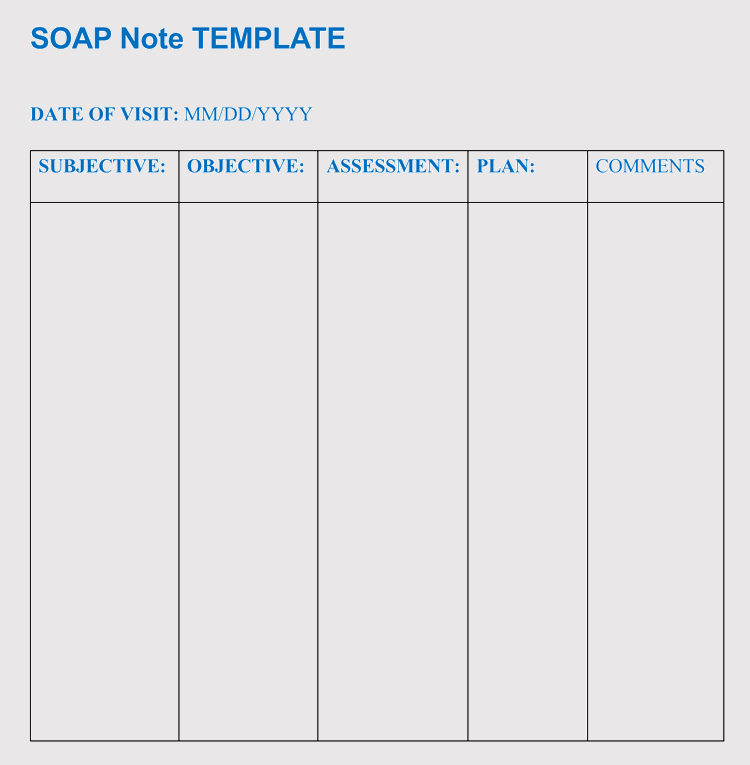 SOAP note (An acronym for subjective, objective, analysis or assessment and plan) can be described as a method used to document a patient’s data, normally used by health care providers. 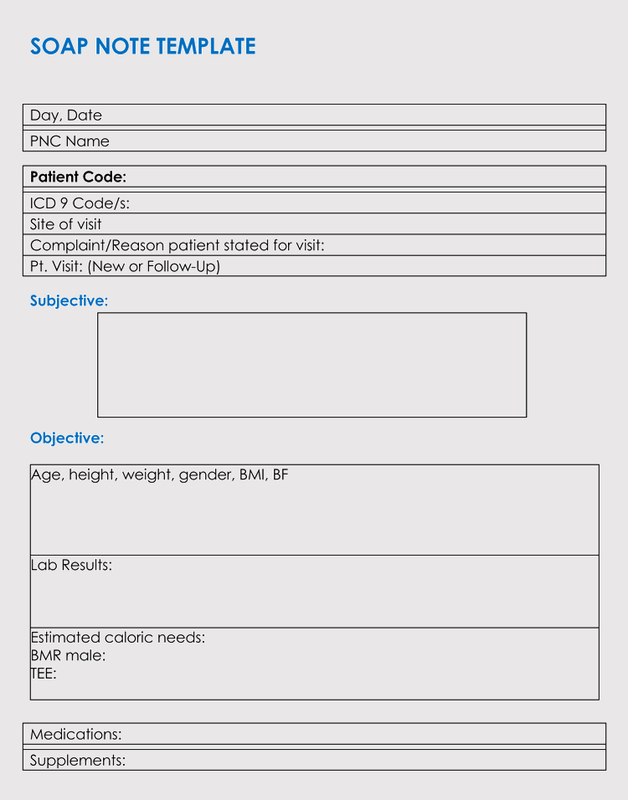 This data is written in a patient’s chart and uses common formats. 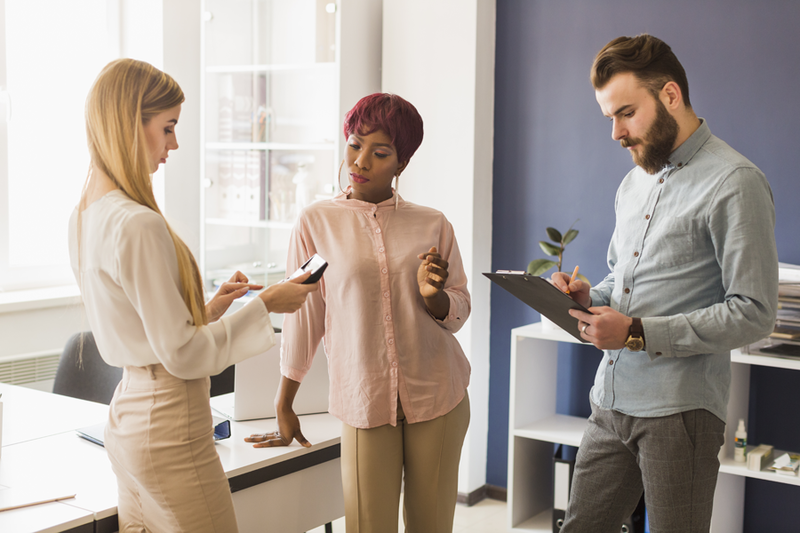 The four parts are explained as below. 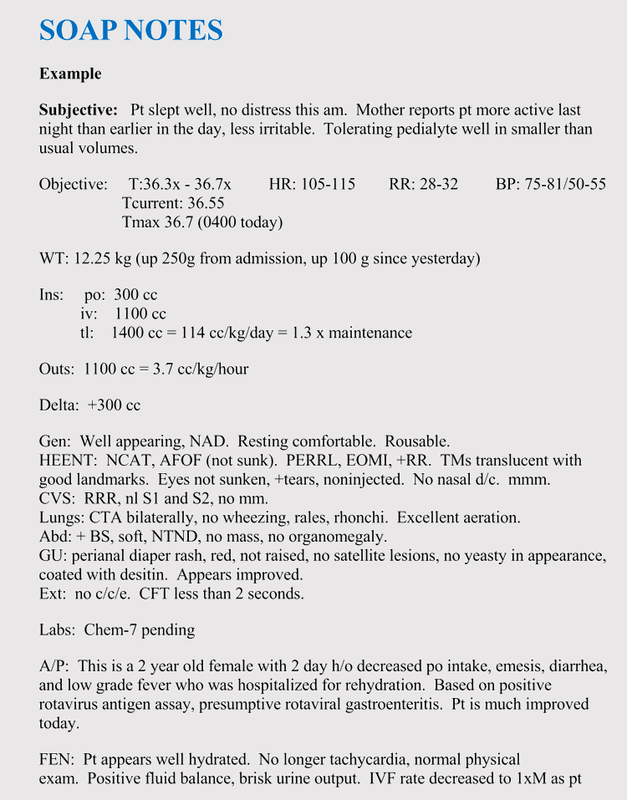 Subjective: This is the part of the SOAP note that describes the current condition of the patient in narrative form. 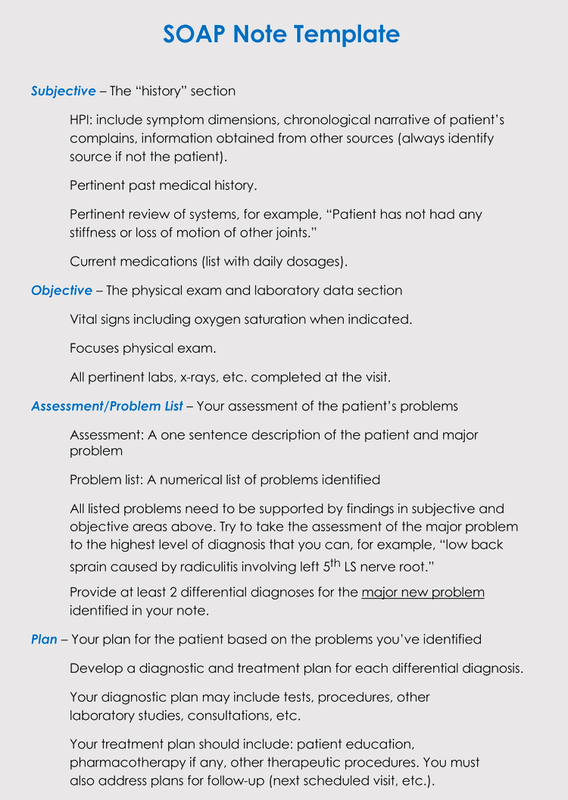 This part states the reason why the patient came to the physician and what the chief complaint is. 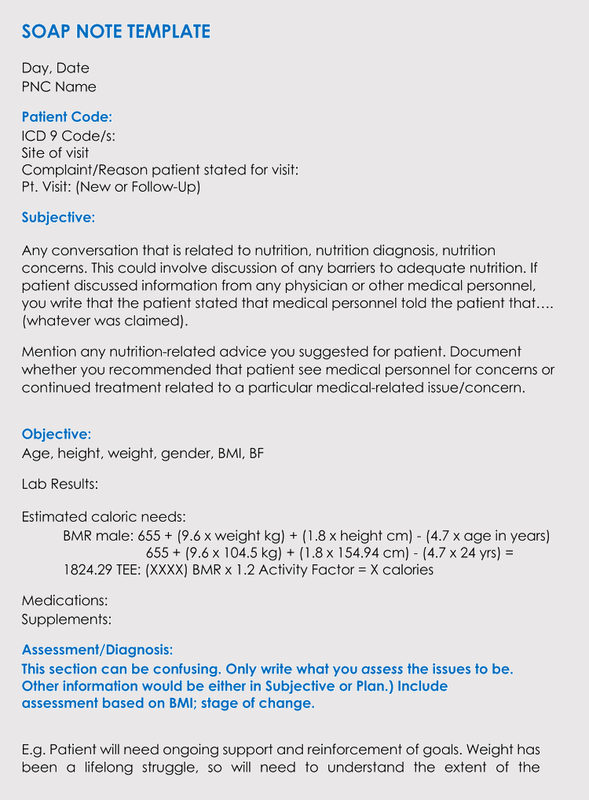 Objective: This is where the repeatable, objective and traceable facts of the patient’s status are documented. 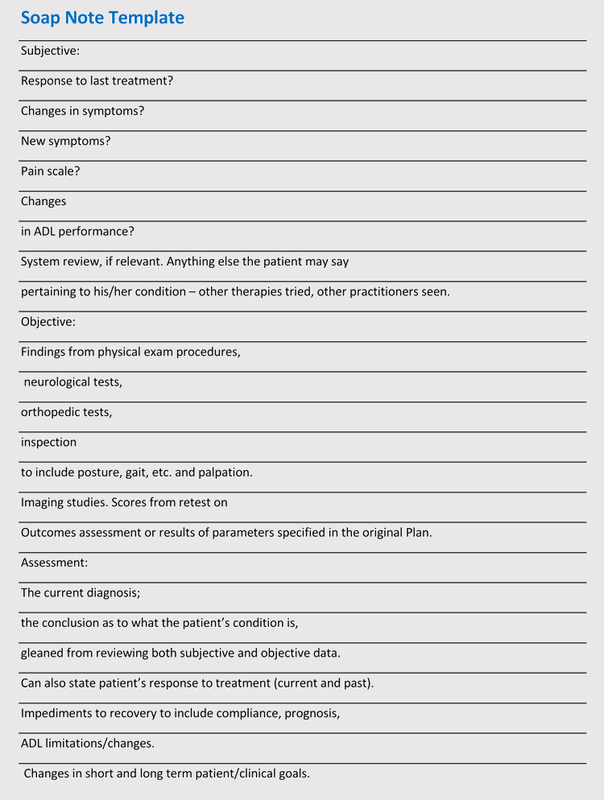 Assessment: This describes the medical diagnoses done by the physician for the medical visit on a given time of the written note. 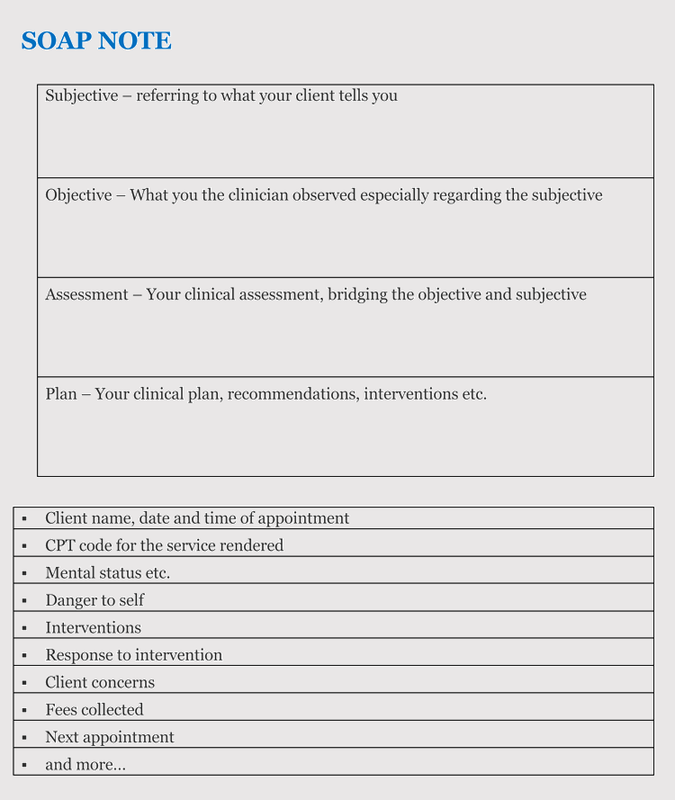 Plan: This is a description of what the physician will do to treat the patient. 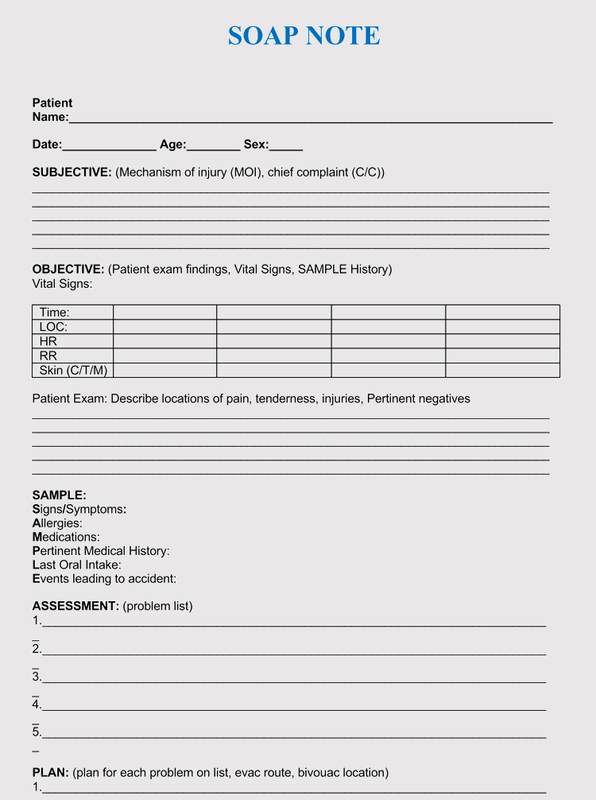 The main benefit of SOAP notes to doctors is that they allow a standard and organized way of documenting the patient’s information for easy reference. 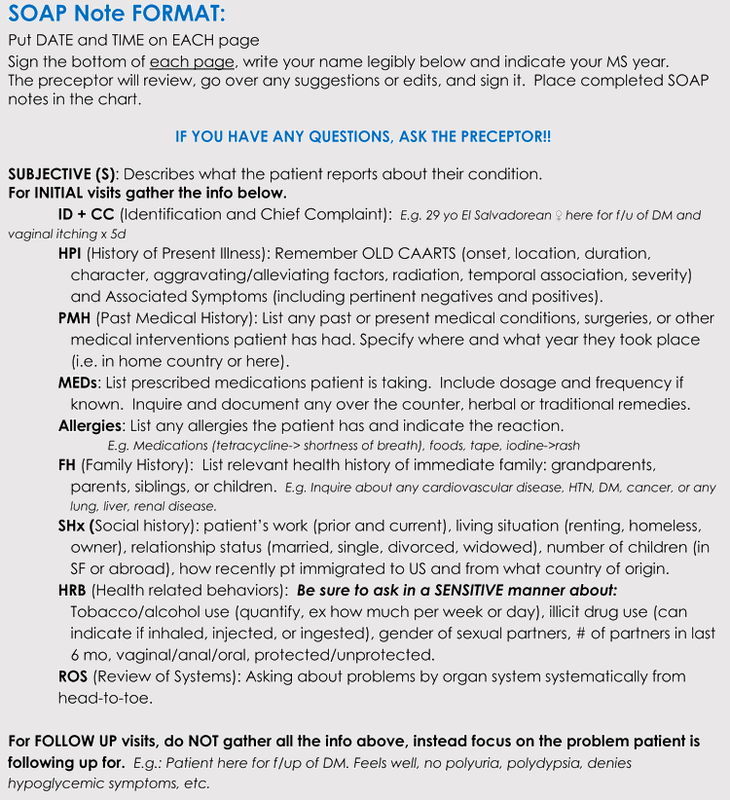 It makes it easy for health providers to know the status of a patient and administer the medications as required. 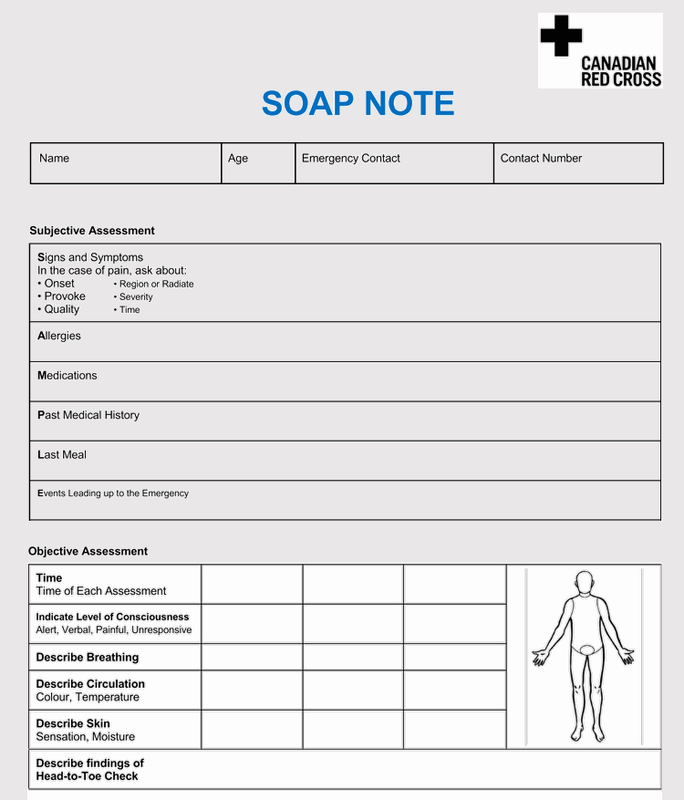 The SOAP notes have the history of the patient. 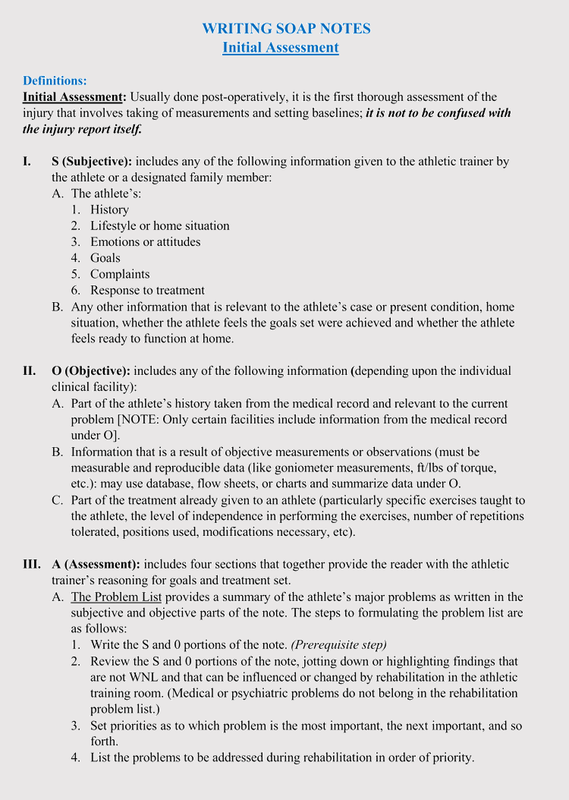 This is important as it helps the practitioners when it comes to objective to determine and narrow down the list of potential injuries. 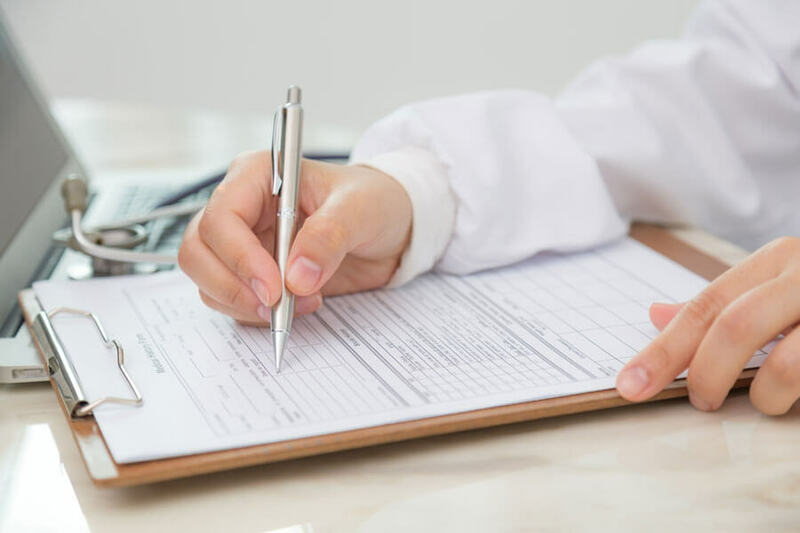 Patients get the much needed attention as SOAP notes allow them to describe every detail of their condition as the medical practitioner jots them down. 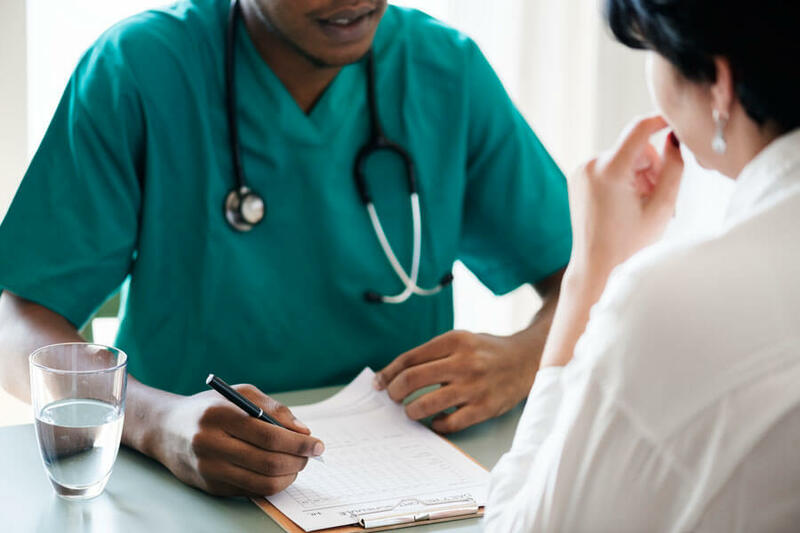 The history of the patient is noted down and if the patient has seen other providers for the same symptom, he/she will get a different and better treatment plan that will work. 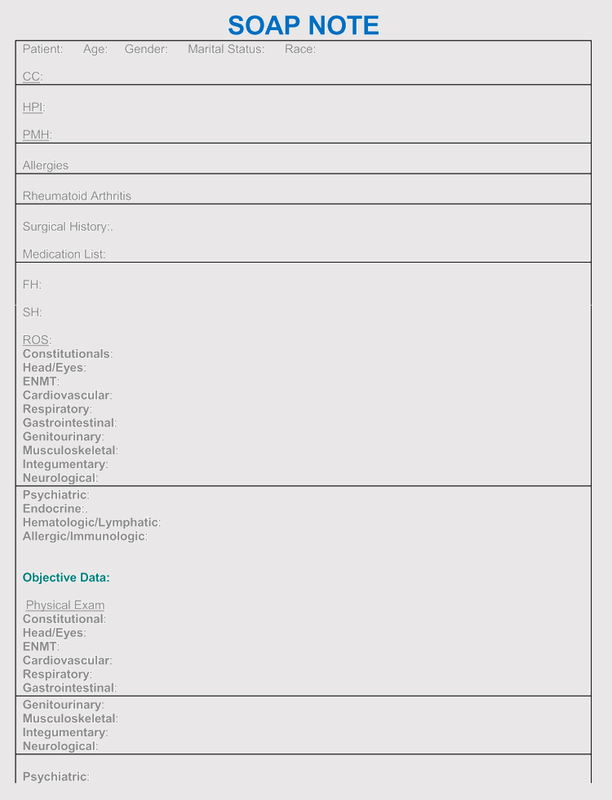 The SOAP note format is quite involved. 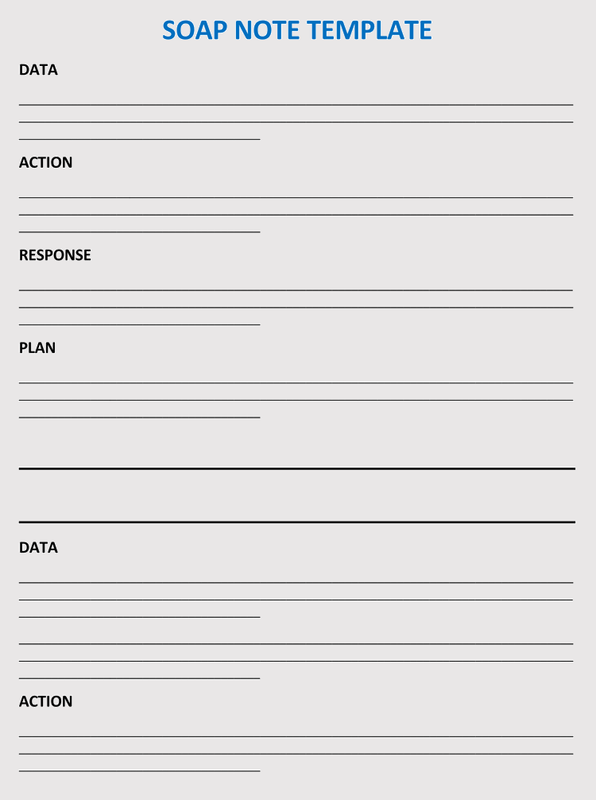 However, using a set format makes things easier and better organized. 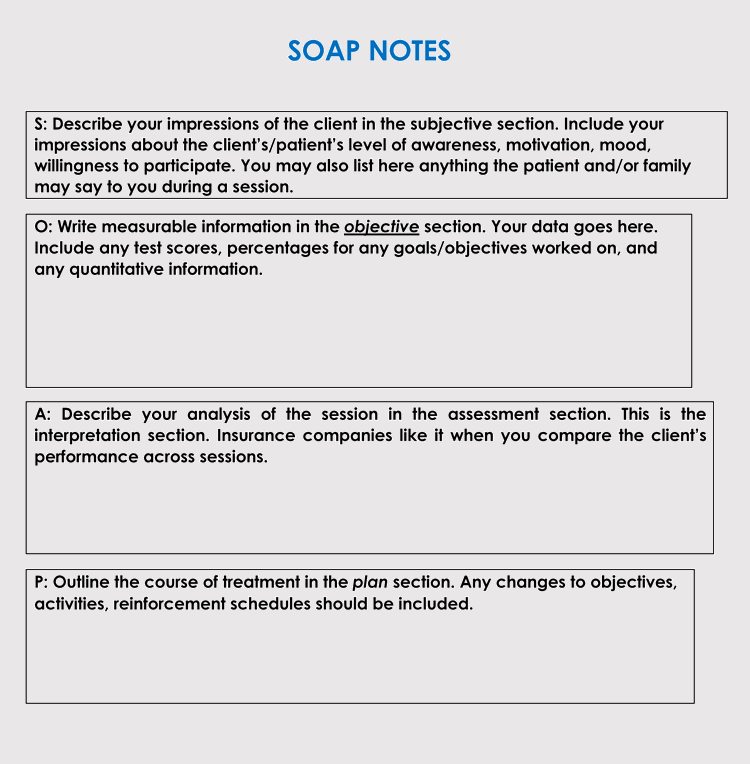 It is important to remember that you will not only use SOAP notes for charting but also as a guide when doing an oral presentation on your patient. 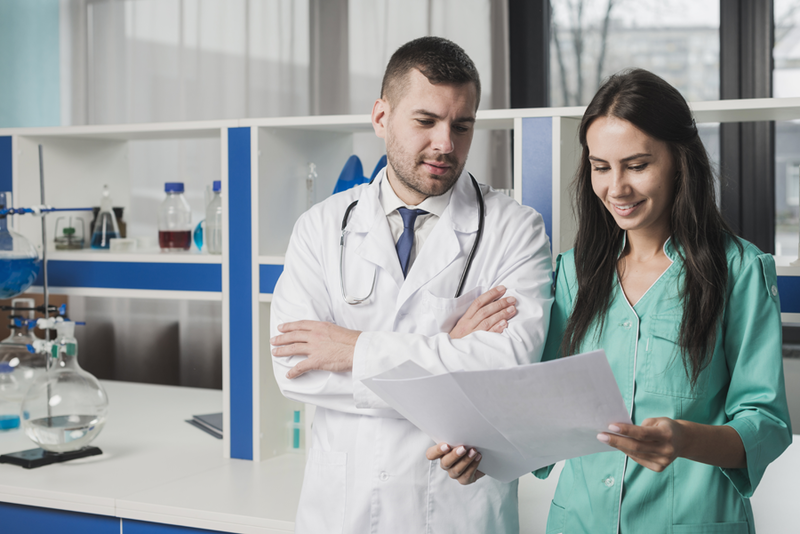 It goes without saying that the format of SOAP note must have the each letter of the abbreviation. 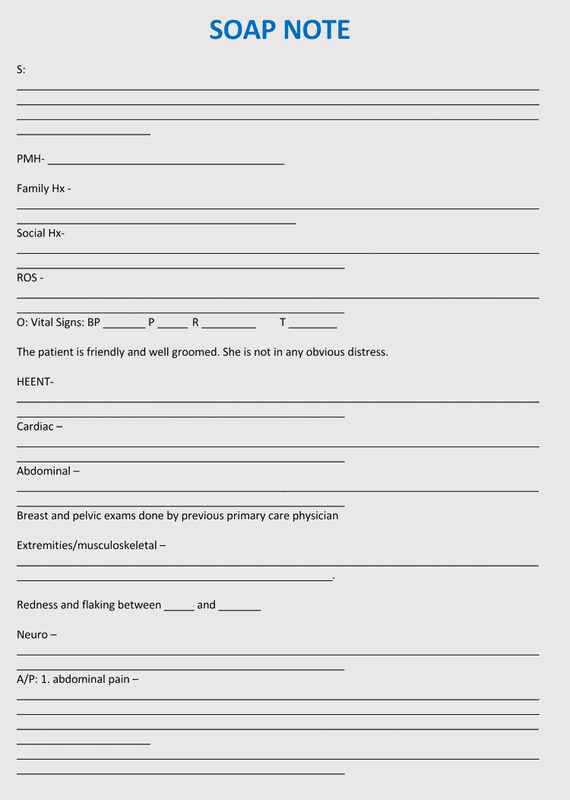 The patient’s full name is important and the identification number can be included if applicable. 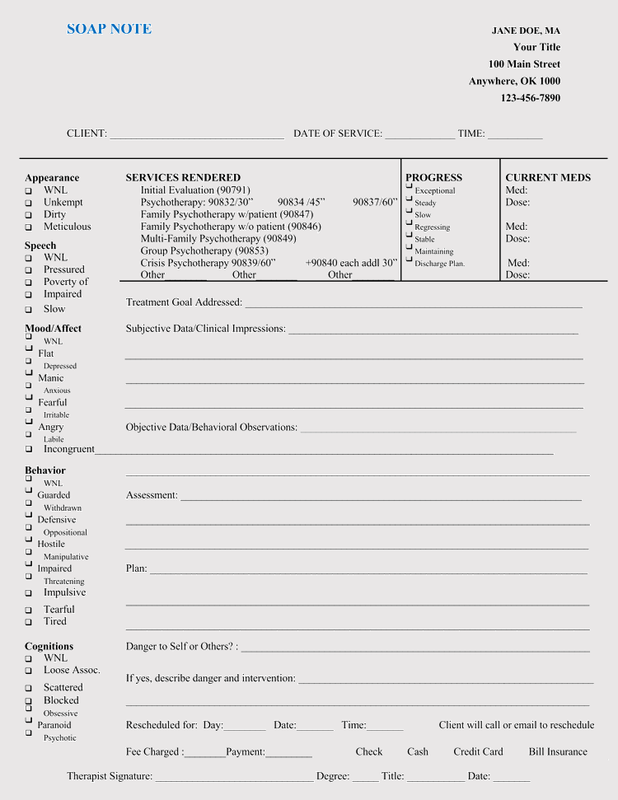 The full name of the healthcare provider and proper designation should also be part of the SOAP notes. 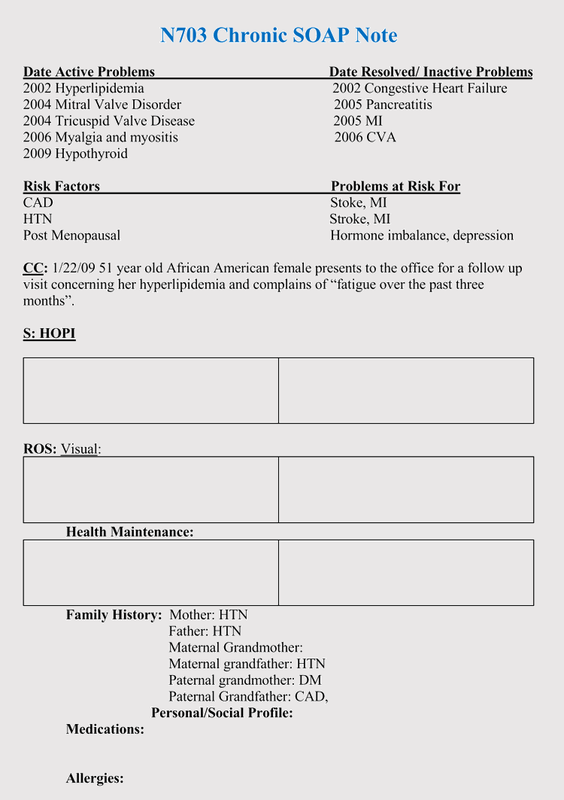 This includes the date the patient was treated and authentication. 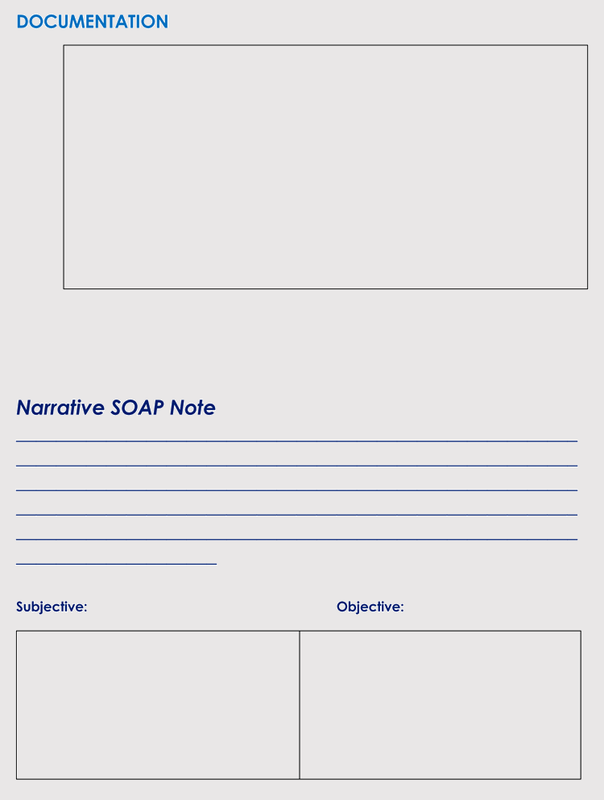 When writing SOAP notes, the first thing you need to do is write the subjective portion. 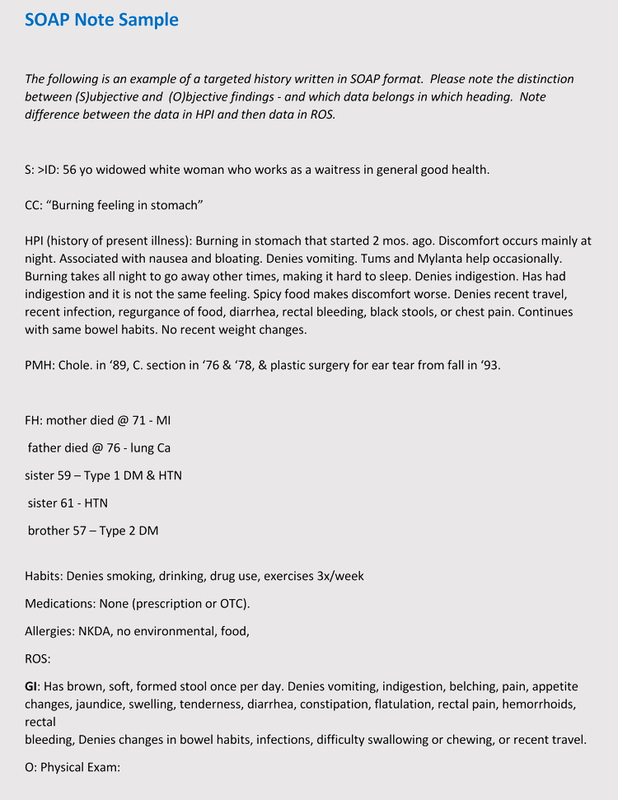 This part contains the history and subjective findings. 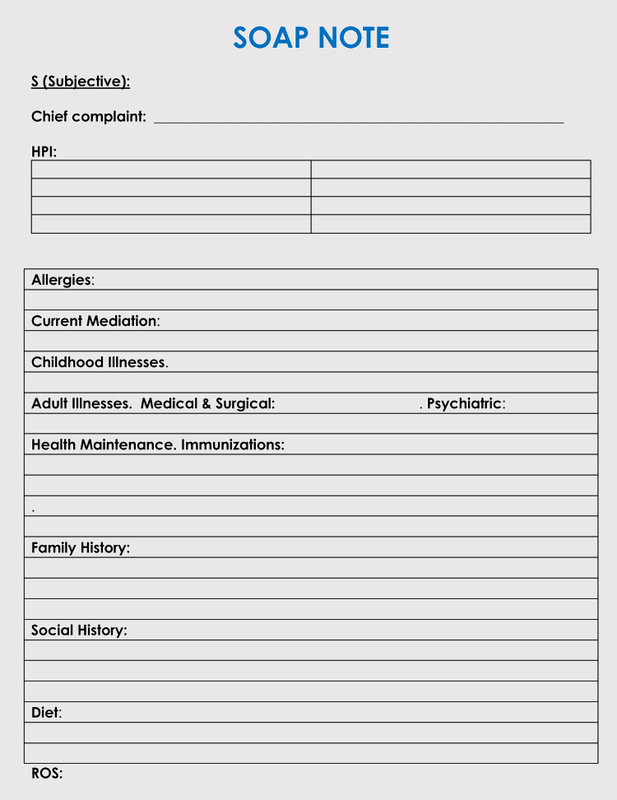 It also contains the information the patient reports to the medical practitioner. 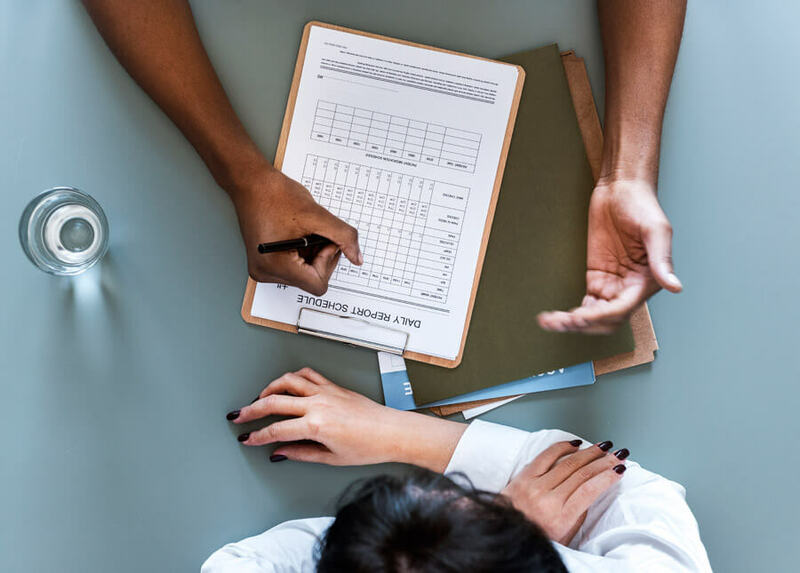 For example, if the patient first started feeling back pain after his workout at the gym, the doctor will note it down and analyze if the pain is as a result of pressure on the backbone. 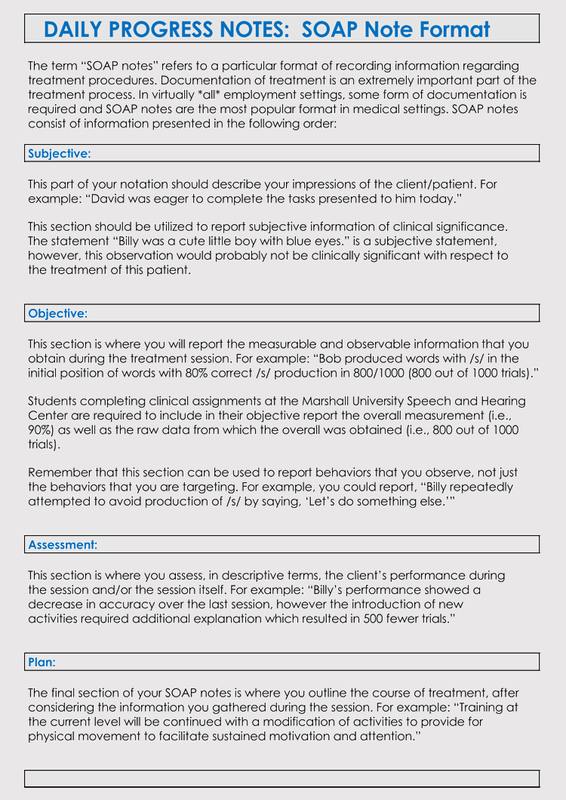 The second step is writing the objective portion. 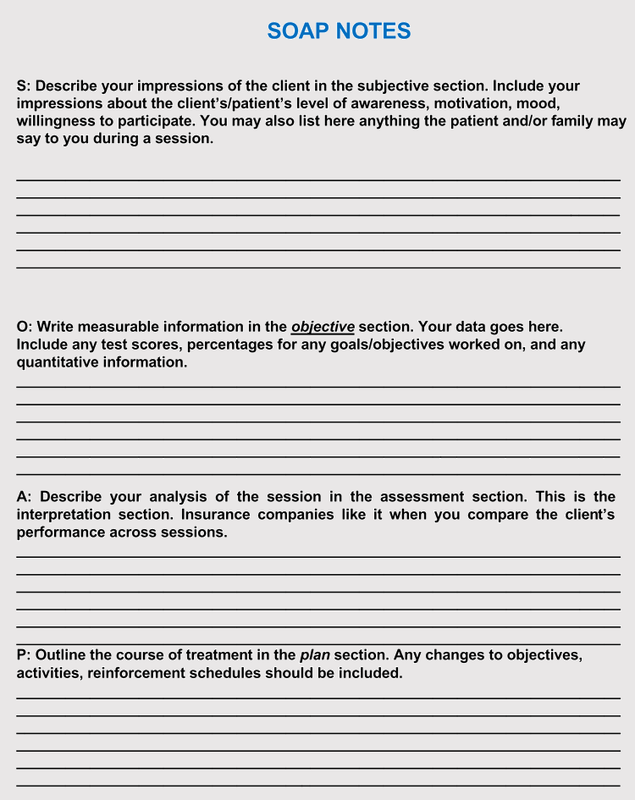 This portion mainly contains the observation you and the clinician have noted. 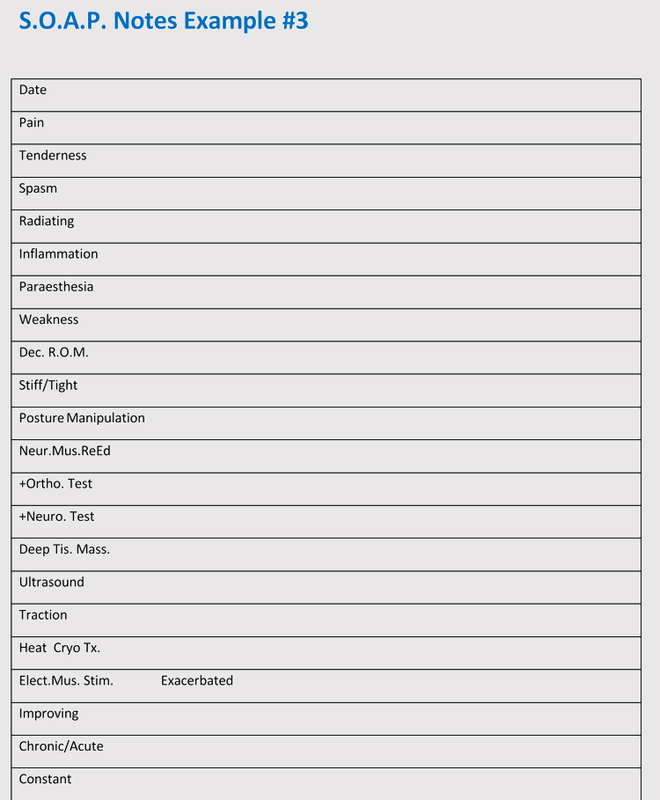 The portion includes vision, palpation, Range of Motion, manual muscle tests, special tests and circulation among other things. 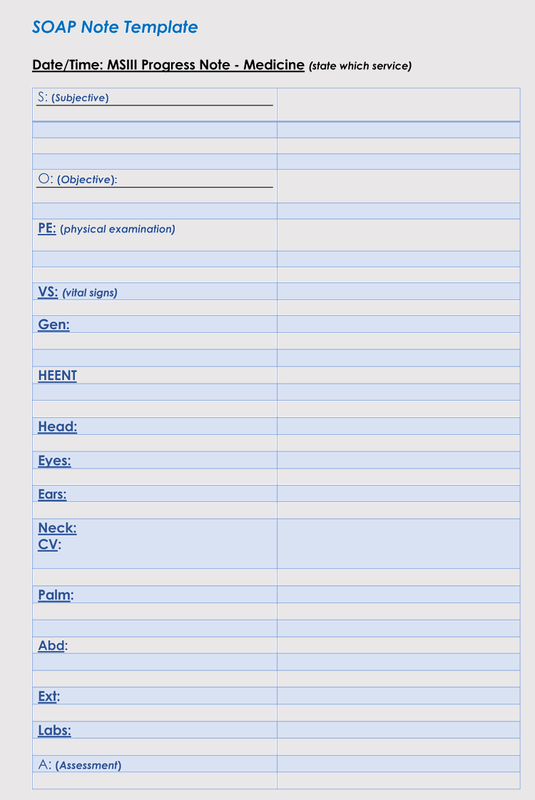 This is where the documentation of neurological exams and tissue palpation is done. 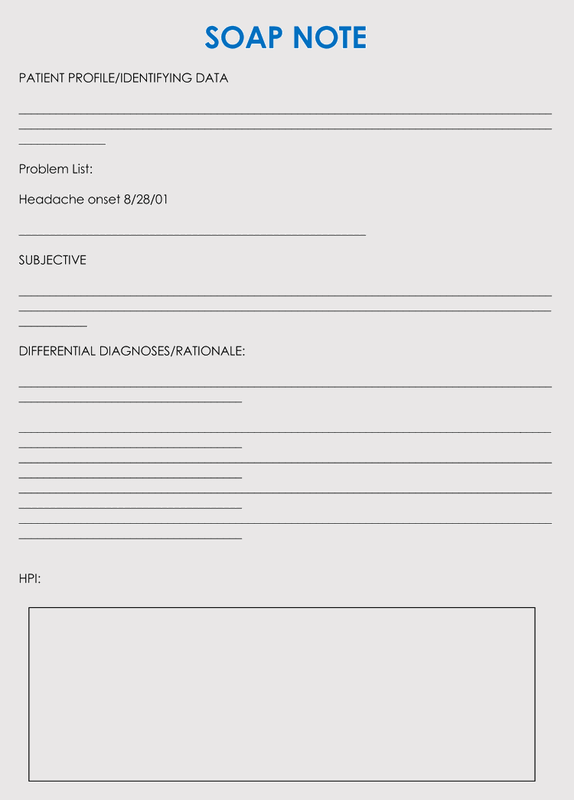 So a doctor will observe the result of a scan and determine the problem. 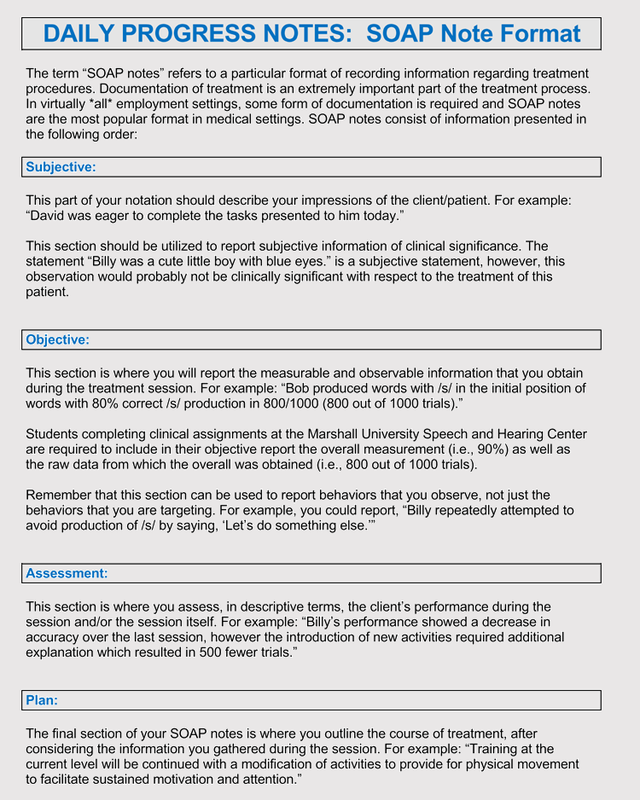 You should then record the assessment. 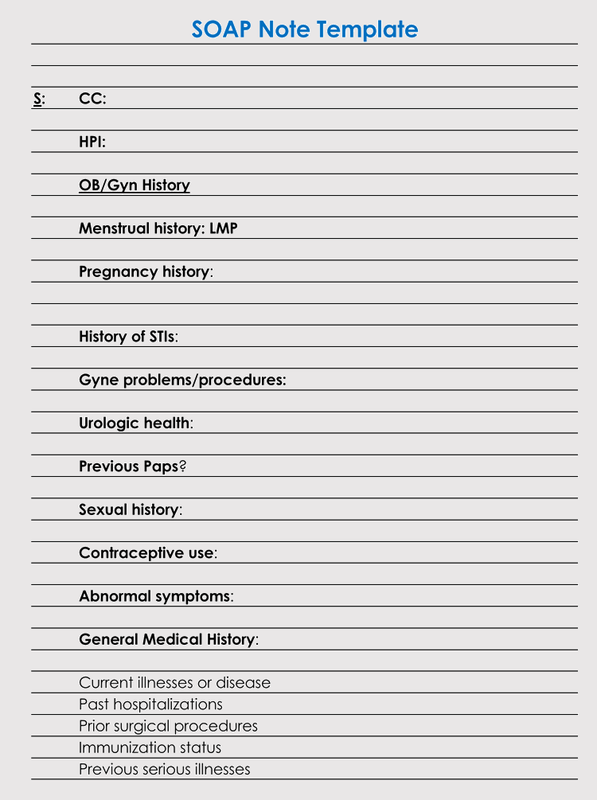 There are likely diagnoses that will be done, they should be included in this section. 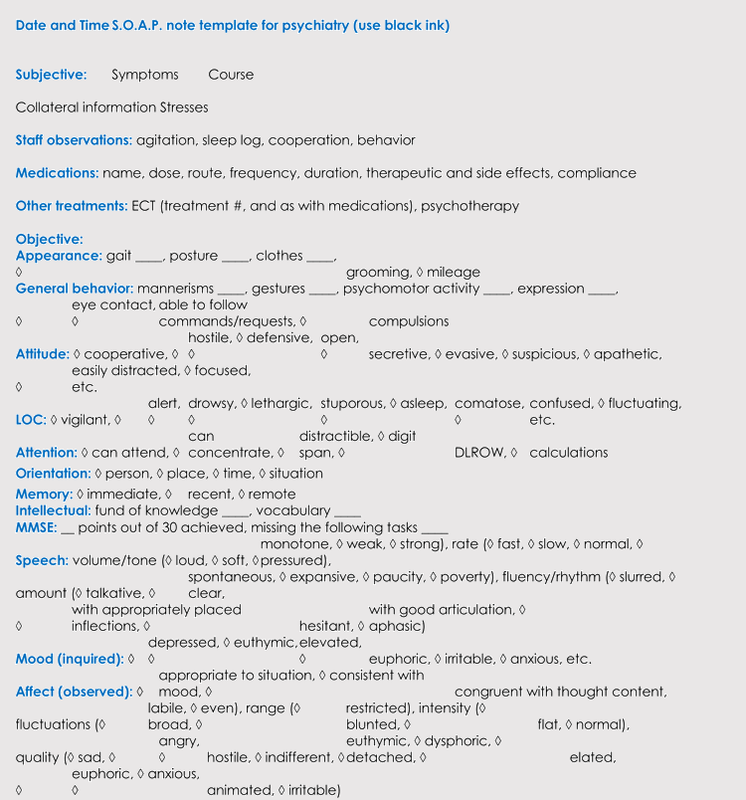 In case a conclusive diagnosis has not be taken, chart some possible diagnoses. 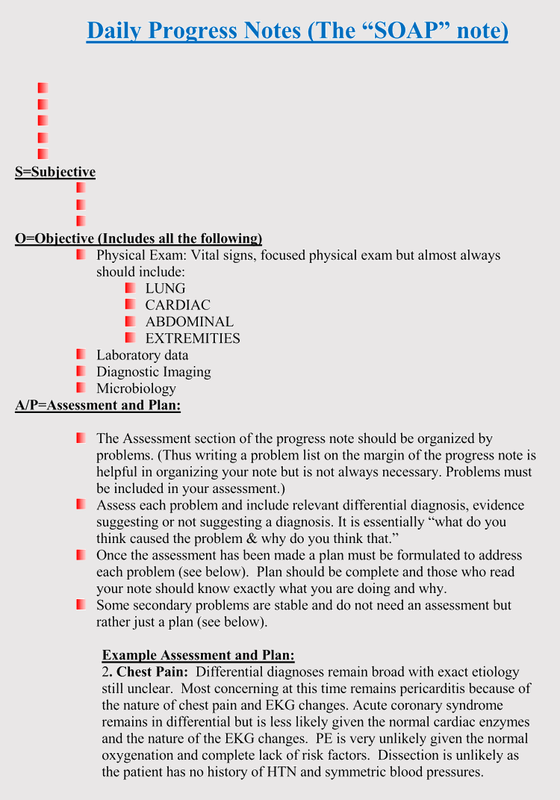 The last part of your SOAP note is the plan part. 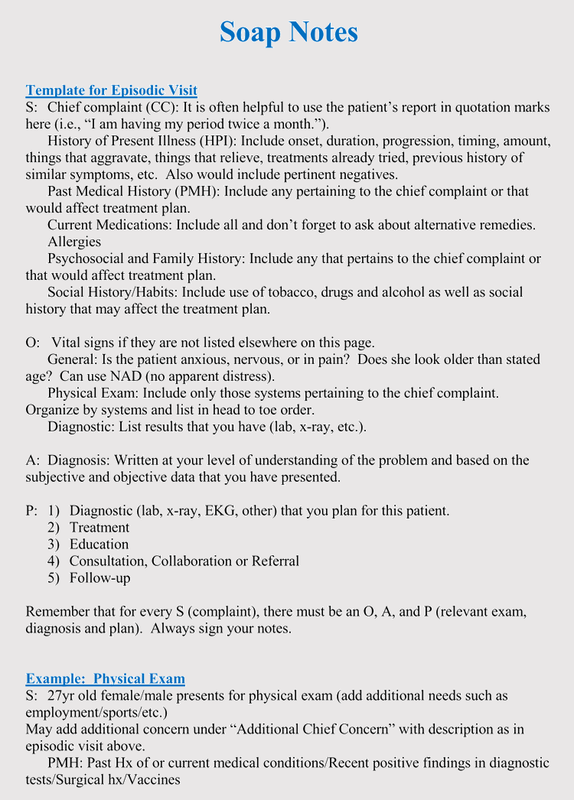 This part is important as it is what contains the steps that will be taken in the treatment of the patient. 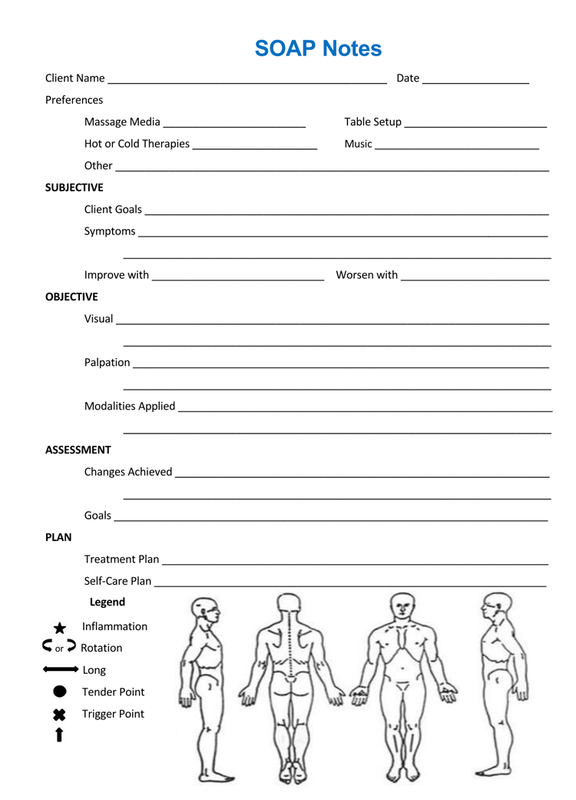 There are different types of treatments that will be given to the patient. 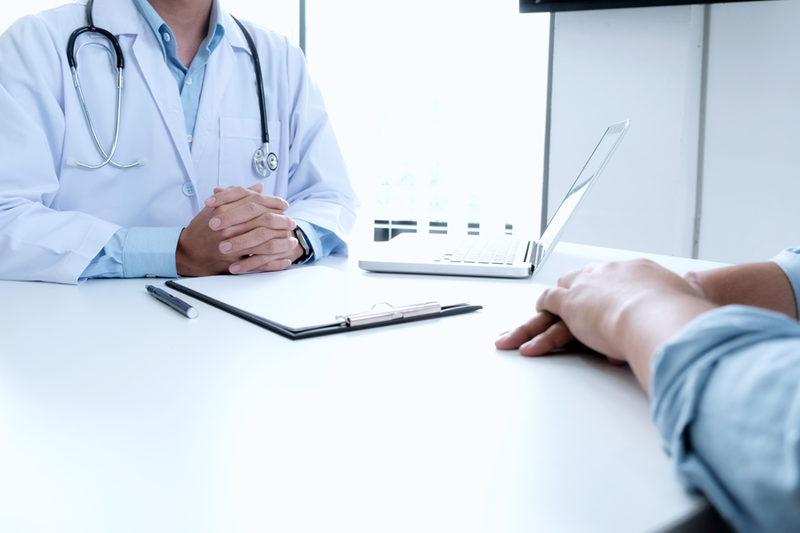 They will include therapies surgeries and medications. 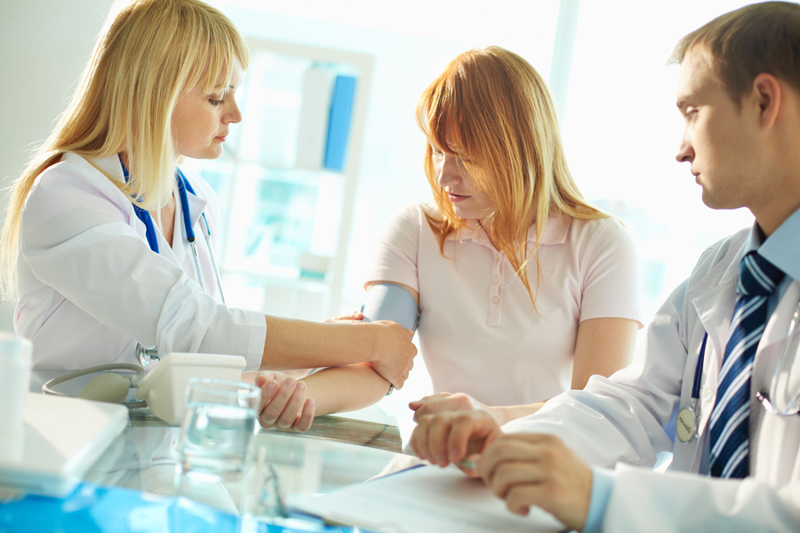 This part also contains some of the long-term treatments that will be recommended. 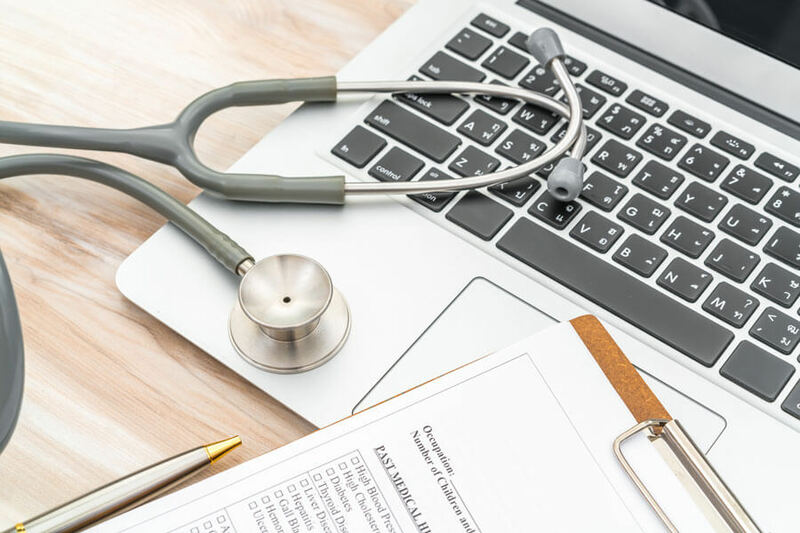 This could be a change in the lifestyle of a patient. 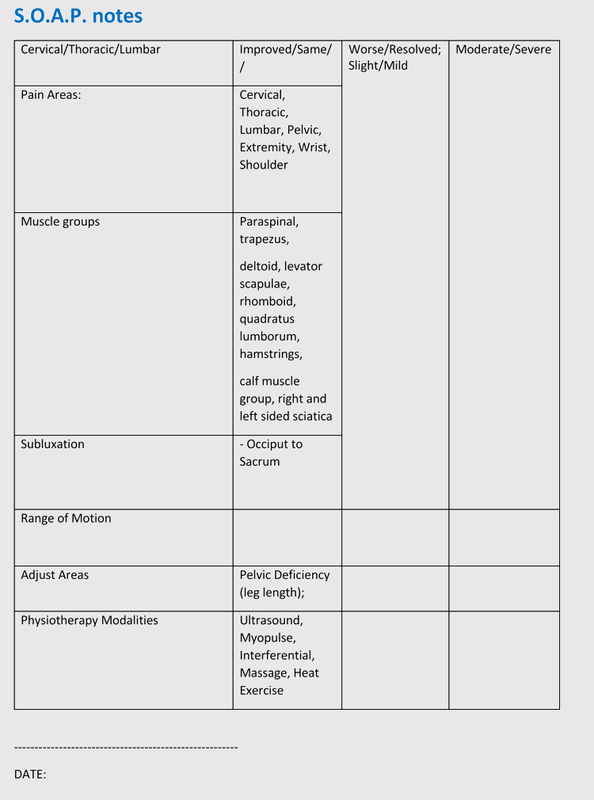 Provide a section where you will list the goals you would like to accomplish with the treatment like increasing range of motion or strength while reducing pain. 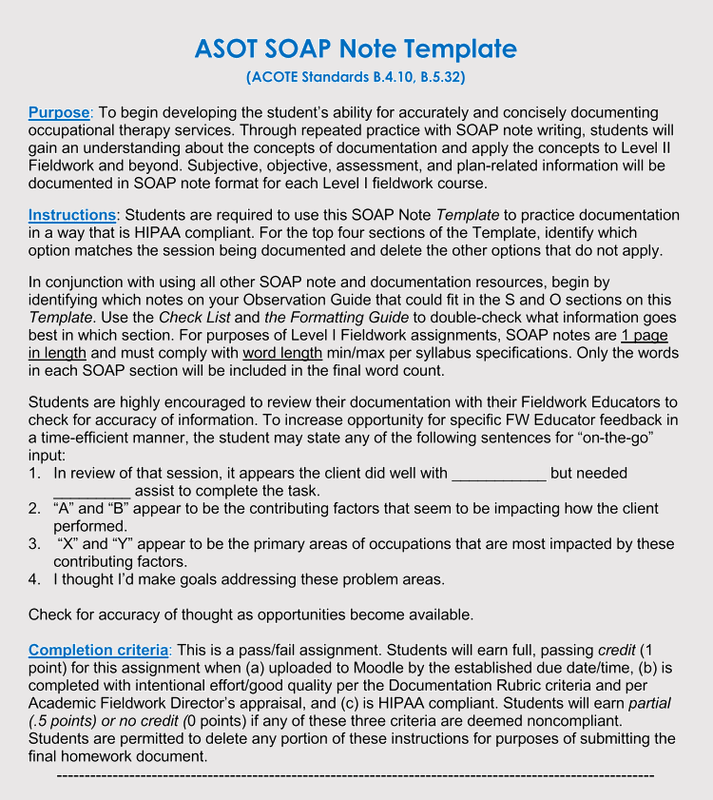 If you wish to follow SOAP notes, it is important that you refer to this part everyday until you complete the plan for the individual.